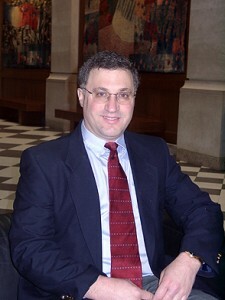 Alan Marcus is a professor of finance in the Wallace E. Carroll School of Management at Boston College. He received his Ph.D. from MIT, has been a visiting professor at MIT’s Sloan School of Management and the Athens Laboratory of Business Administration, and has served as a research fellow at the National Bureau of Economic Research, where he participated in both the Pension Economics and the Financial Markets and Monetary Economics groups. Professor Marcus also spent two years at the Federal Home Loan Mortgage Corporation (Freddie Mac), where he helped to develop mortgage pricing and credit risk models. Professor Marcus has published widely in the fields of capital markets and portfolio theory. He is co-author of the widely used texts Investments, Essentials of Investments (with Z. Bodie and A. Kane) and Fundamentals of Corporate Finance (with R. Brealey and S. Myers). He currently serves on the Research Foundation Advisory Board of the CFA Institute.